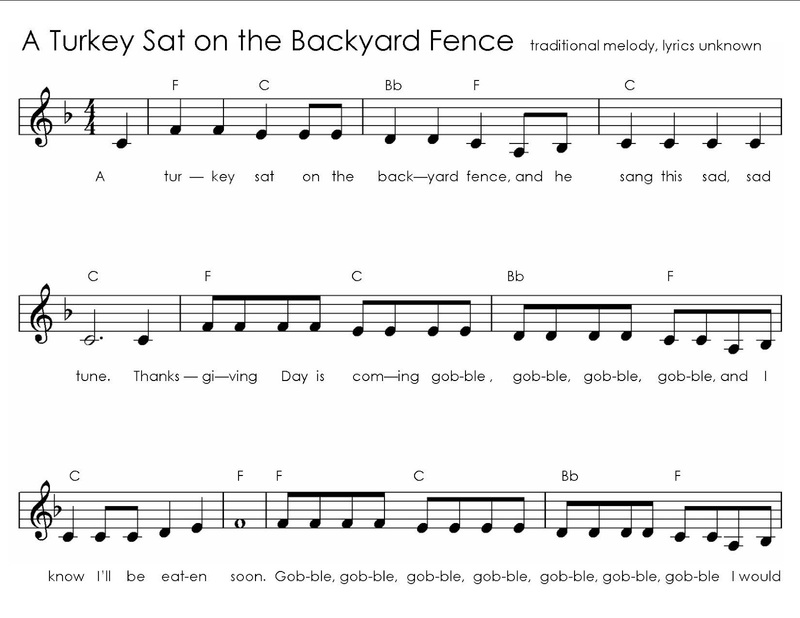 It's always nice to have a song or two for each season to use with your kids and this is one that I've had fun using for Thanksgiving. 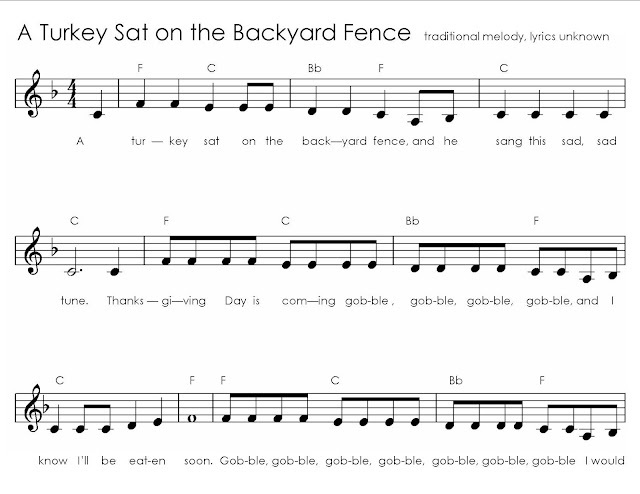 As your child becomes familiar with the melody, it's fun to sing it faster and faster! 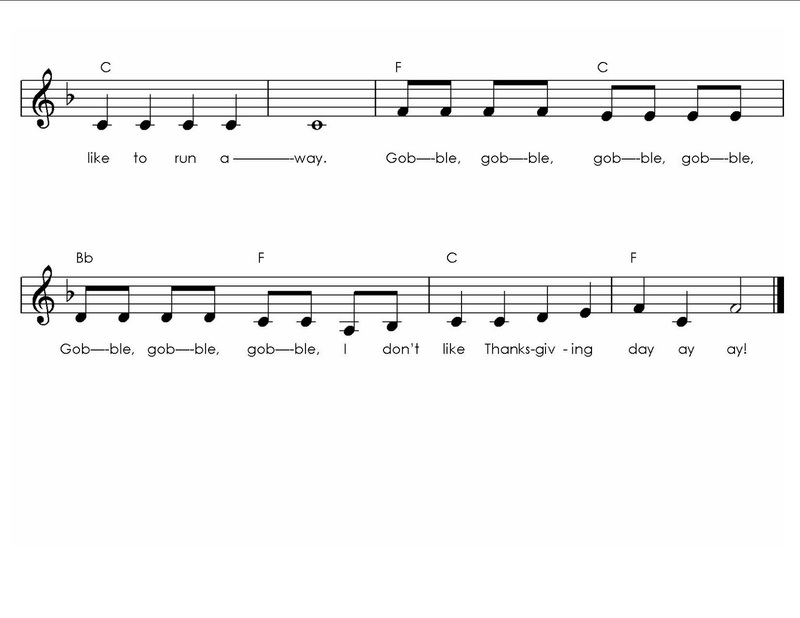 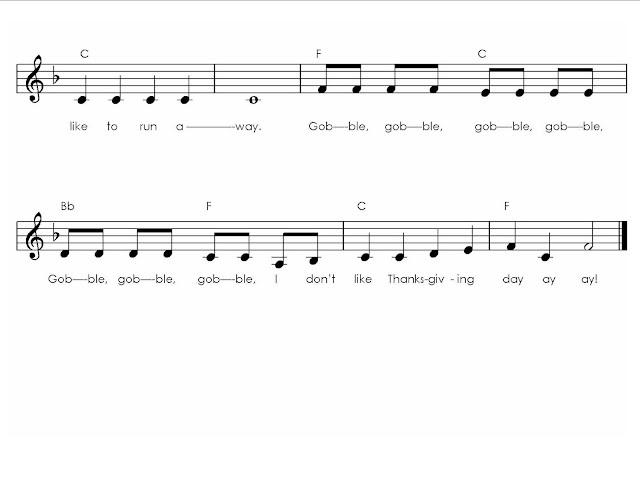 Singing gobble, gobble, gobble rapidly can be a fun exercise in language skills!